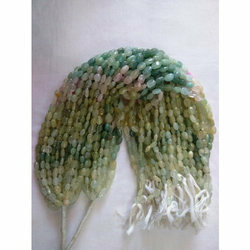 We are offering Pink Tourmaline Oval Stone Beads to our clients. Being a factory we can produce all kind of Beads and Findings in all needed shape and size. Please feel free for any of your query or question. The mesmerizing appeal of these oval plain beads is bound to accentuate the look of different costumes and ornaments. We are Coszcatl Export . We have been working with Jewelry and Gemstones for the Past Twenty Years. Each handmade glass bead are different & had A great value & Versatile, Whether creating a bracelet design for yourself, or creating a fun crafting project. These oval beads have an exceptional play of colors with cream, golden, orange-yellow body colors. 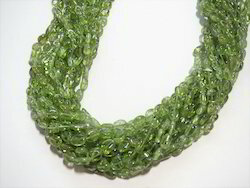 They are translucent and super-shiny smooth textures beads with inconsistency of size. They reflect a rainbow spectrum that will steal your glance for sure. We produce them in bulk and guarantee you the best of quality. Smooth oval nuggets of hessonite garnet are well known due to their rich color. These are highly polished nuggets of size near to 7x5 up to 9x7 mm. Hessonite garnet has a different color tone from other garnets. This tone makes them unusual look. We make them available for the buyers with high finish, super quality and fine making of beads add extra ordinary look of the jewelry.